Our joints carry the weight of our bodies. The more weight you have to carry, the harder it is for your joints to work properly. Even small changes in weight can significantly affect the joint pain experienced by an individual. Don't believe that? Try a simple test of carrying 15 pounds of weight while doing all of your normal daily activities. Even small weight changes make a big difference because joint forces in the hips and knees increase about three times that weight with normal walking. This means that 15 pounds of extra body weight are felt by the knees as an extra 45 pounds. We know that the chance of developing arthritis is strongly associated with body weight. Yes, there are thin people with arthritis and heavy people with healthy joints. But overall, the chance of developing arthritis in your joints is strongly associated with your body weight. People with a high body mass index (BMI) tend to get arthritis at a younger age. Having joint replacement at a younger age can complicate treatment because the replacement is more likely to wear out in the patient's lifetime. Losing weight may not reverse the damage that has been done to a joint, but research has shown that even moderate weight loss can have a dramatic effect on the relief of joint pain. While getting down to a normal body weight is a good idea for people who are overweight, starting with reasonable goals like losing 10 or 20 pounds can help with joint pain. Studies have shown that a weight loss of 11 pounds decreases the risk of developing knee arthritis by 50%. There have been numerous investigations into the effect obesity has on the results of joint replacement surgery. Some of these studies have found a higher chance of infection, blood clots, and dislocation after hip replacement. We know that joint replacement surgery takes longer in obese individuals (a longer period of anesthesia is necessary), and the recovery may take longer, too. However, most studies have found similar pain relief and overall benefits of joint replacement surgery. No one can say the weight loss is easy. Eating fewer calories than you burn each day is the most critical part of weight loss. Exercise is a healthy way to burn a few more calories and maintain muscle mass while dieting, but few people can lose weight with exercise alone. If you find it difficult to exercise because of arthritic joints, that should not keep you from changing what you eat so you can lose weight. 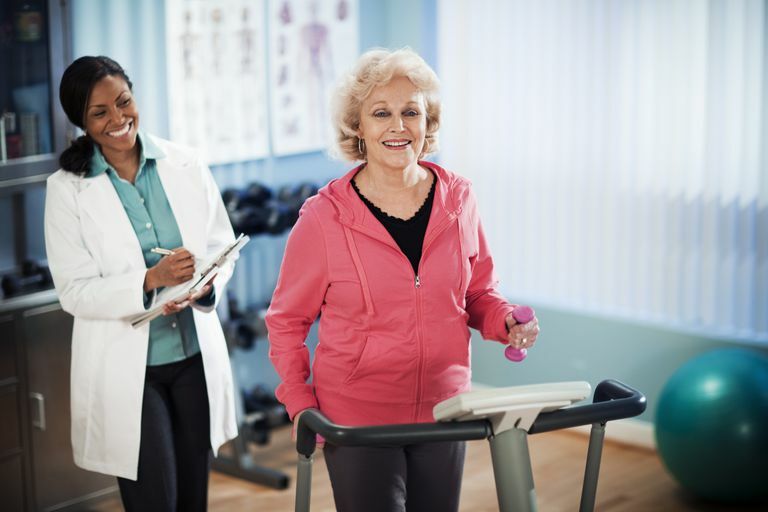 Exercise is important when you have arthritis, and there are ways to exercise with joint pain. The key to exercising when you have joint problems is to find low-impact activities, including cycling, swimming, and aerobics. These activities can raise your heart rate to boost cardiovascular fitness, while not placing such demands on your joints. As a bonus, you will burn a few more calories, too. Changulani M, et al. "The relationship between obesity and the age at which hip and knee replacement is undertaken" J Bone Joint Surg Br. 2008 Mar;90(3):360-3. Felson DT and Chaisson CE "Understanding the relationship between body weight and osteoarthritis" Baillieres Clinical Rheumatology 1997;11:671-681. Felson DT "Weight and osteoarthritis" J.Rheumatol. 1995;43:7-9. Does Weight Loss Help Symptoms of Arthritis and Joint Pain? Can Arthrodesis Surgery Relieve Your Joint Pain? Is the MegaRed Dietary Supplement a Match for Your Joint Pain? Does Instaflex Joint Support Work as Well as Doug Flutie Says?